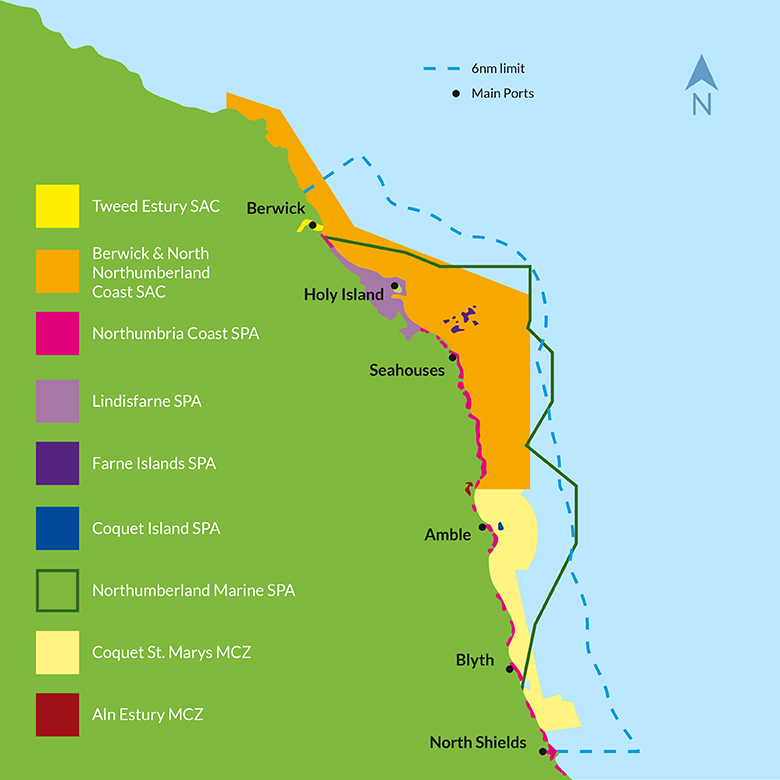 There are 10 marine protected areas designated within the inshore waters of the Berwickshire and Northumberland Coast. 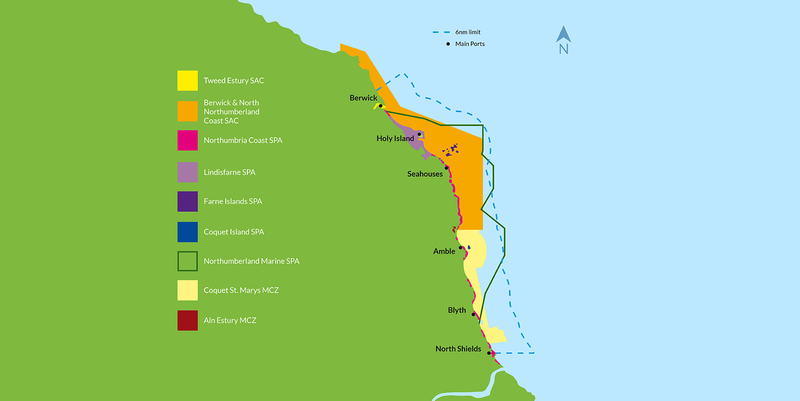 They protect a range of features from sea caves and underwater reefs through to grey seals and breeding birds. 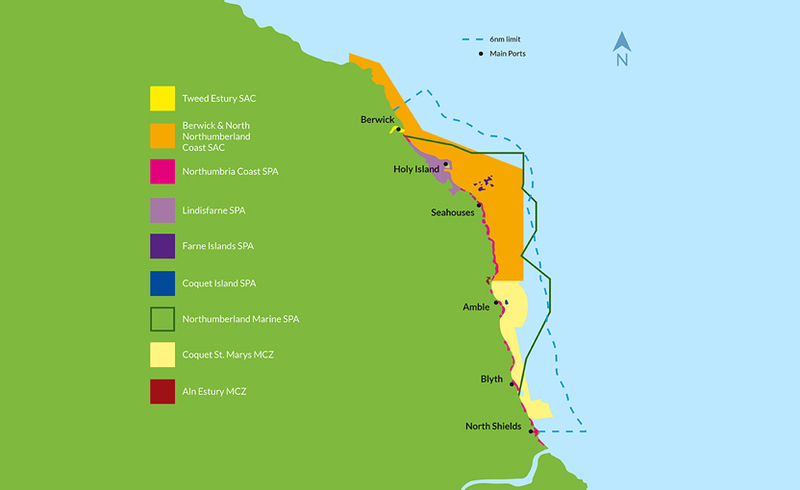 Please follow the links to find out more about each of these ten sites and how they are managed.